With fuel prices higher than ever, I've been driving 55 mph on the freeway to improve my gas mileage. For years I have always been one of those speed limit plus ten people. Only recently have I decided to slow down and take it easy. My FJ Cruiser (below) normally gets around 15 mpg on the highway. I found out that if I keep the rpms below 2,000 my mileage increases to over 20 mpg. On roughly level ground that ends up being 55 mph in sixth gear. I keep an eye on my gas mileage using my ScanGauge II. It's a handy little device that plugs into the FJ's ODBII port and gives information about everything from intake temperature to battery voltage. The ScanGauge allows to me see exactly how many miles I am getting to the gallon at any given moment as well as the average for the whole tank. So far driving 55 on the Los Angeles freeways has been fun and cost effective. The funniest thing about driving in the slow lane is that people still tailgate! 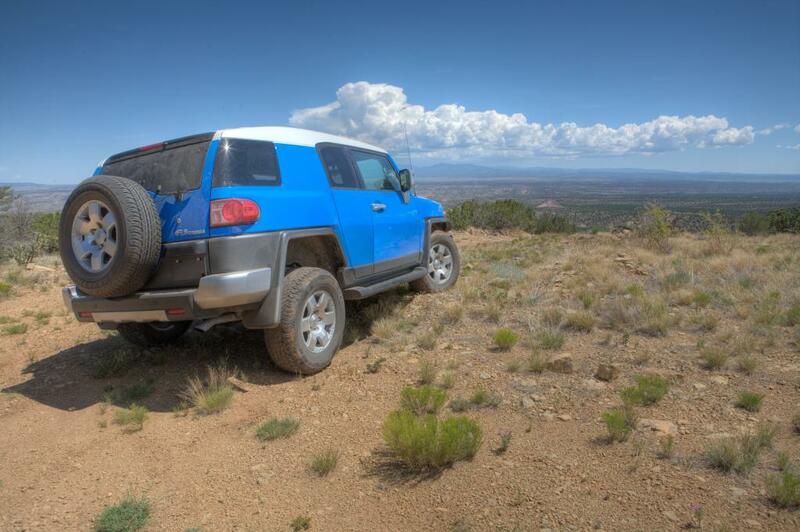 My FJ Cruiser near Madrid, during our trip to New Mexico last near.